Everyone wants the next Sean McVay, but Elway knows someof NFL's best coaches are 60-somethings Belichick, Carroll and Reid. 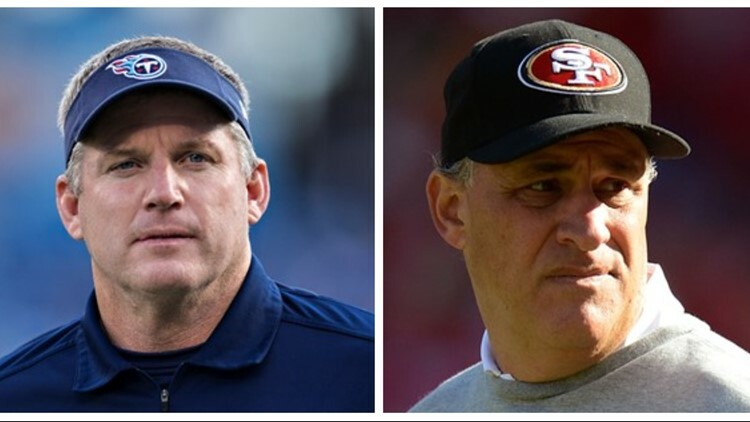 KUSA – Broncos general manager John Elway has narrowed his head coaching search to two candidates who grew up three miles apart -- Chicago Bears' defensive coordinator Vic Fangio and Pittsburgh Steelers' offensive line coach Mike Munchak -- sources tell 9News. Elway and his head coach search committee that also includes director of player personnel Matt Russell, public relations boss Patrick Smyth and administrative assistant Mark Thewes will gather Tuesday afternoon at the Broncos' UCHealth Training Center headquarters to further discuss the two finalists. Elway is then planning to meet with Broncos' chief executive officer and president Joe Ellis and discuss his decision. After spending the day deliberating and reviewing, Elway is expected to make his decision in the next day or so. The Broncos’ head coach job search should make Elway feel young again. The 58-year-old general manager is deciding between the 60-year-old Fangio and 58-year Mike Munchak to become the Broncos’ next head coach. Either way, the Broncos are about to have one of the oldest GM-head coach pairings in the NFL. 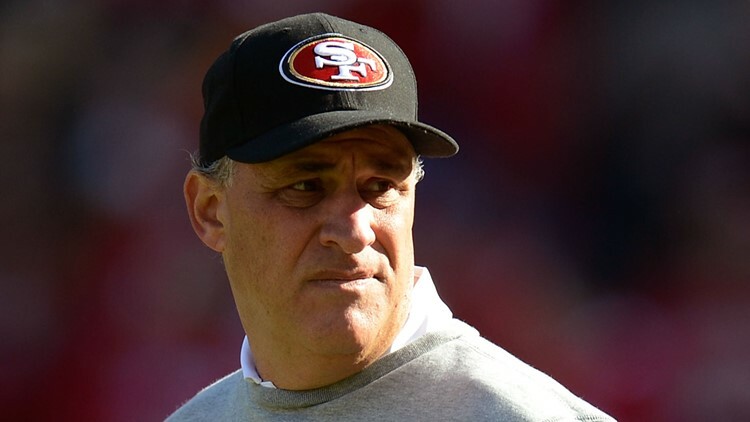 Vic Fangio of the San Francisco 49ers looks on during pre-game warm ups before their game against the Arizona Cardinals on December 30, 2012 in San Francisco, California. Early in the interview process, Munchak appeared to be the slight favorite. Munchak is considered the best offensive line coach in the NFL. He’s also been an NFL head coach, having posted a 22-26 record with the Tennessee Titans from 2011-13. 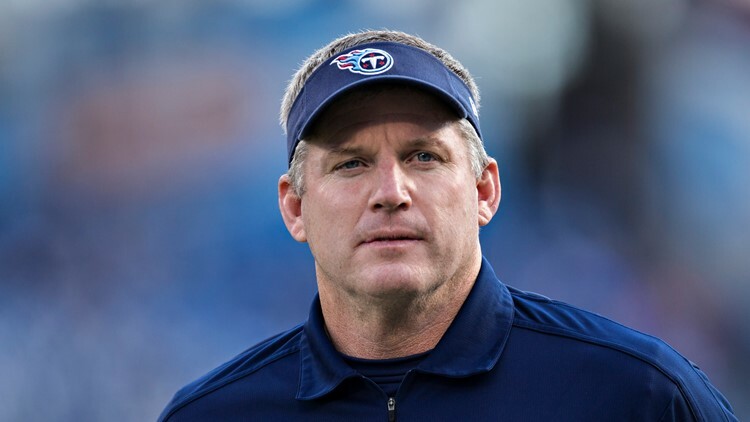 He could have been a head coach a while longer, but Munchak wouldn’t fire some of his trusted assistant coaches. Munchak instead took the job as the Pittsburgh Steelers’ offensive line coach, a position he has held the past five seasons. Ben Roethlisberger went from averaging 42 sacks in the eight-year period from 2006-13 to 23 sacks in the last five seasons with Munchak coaching his blockers. No wonder Roethlisberger has endorsed Munchak by stating his dismay he may lose his line coach to the Broncos. Then, surprisingly, Fangio appeared to be the slight favorite entering the Tuesday skull sessions. A surprise because while Fangio is indisputably one of the NFL's best defensive coordinators, he has never in his 40 years as a football coach been a head coach at the high school, college or NFL level. He never got a chance at his high school in Dunmore, Pa. Fangio's high school football coach at Dunmore, Jack Henzes, took a leave of absence from his 52nd season to recover from a heart procedure. As Elway continues to deliberate, his choice between Fangio and Munchak may be split down the middle. Just like it was for them growing up. Check this out: Fangio and Munchak, grew up about three miles appart from each other in Northeastern Pennsylvania as Dunmore and Munchak's hometown of Scranton border each other. As for Fangio, just because a coach is considered up there by millennials doesn’t mean he’s not hot. Fangio’s Chicago Bears ranked No. 1 in scoring defense in 2018 by allowing just 17.7 points per game. The Bears held the defending Super Bowl-champion Philadelphia Eagles, whose offense had been clicking again, to just 16 points in a first-round NFC playoff game Sunday. Did you notice how the Bears’ defense played together? It was 11 playing as one. As the Broncos’ defense did in 2015 but not quite as much since. Fangio is detailed and brings discipline to his teams. The Broncos could use a little more discipline. Elway and his search committee interviewed three other candidates for the job to replace Vance Joseph: Former Indianapolis head coach Chuck Pagano, Los Angeles Rams' quarterbacks coach Zac Taylor and New England Patriots' de factor defensive coordinator Brian Flores. But the Broncos' 17th head coach (counting interims) will be either Fangio or Munchak. Munchak turns 59 in March. Elway turns 59 in June. They’ll never catch Fangio, who turns 61 in August. For all the talk about the NFL moving toward the new-age offense and innovative young minds, the two most consistently successful head coaches are Bill Belichick, 66, and Pete Carroll, 67. Andy Reid, of the division rival Kansas City Chiefs, is 60. It may be fashionable to try and find the next Sean McVay. But what’s wrong with holding Carroll and Reid as the standard? (Let’s keep it real by setting aside Belichick as the one and only). The Broncos' greatest success of the past two decades came when their head coaches were 58-year-old John Fox in 2013 and 54-year-old Gary Kubiak in 2015. For youth, there is the player roster. Otherwise, 60 is about to become the new 40 at the Broncos’ UCHealth Training Center.